The mind/body debate almost sounds cliche these days, relegated to a new age fantasy that can easily be dismissed. However, more and more scientific research is suggesting that our bodies and minds work perfectly symbiotically as opposed to one being the important one (the mind) and the other merely being the vehicle (the poor old body). 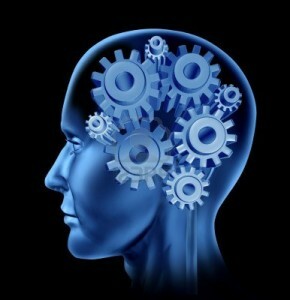 As a species, our mental capability is nothing less than astonishing. The sheer power and dexterity of our minds is the single most important attribute that has enabled humans to be so successful. Nevertheless, the downside to this mind-centric legacy is that it has led to a Cartesian duality in our culture: a separation of mind and body where mind is often supreme and body subservient. Mindfulness takes issue with this on principle. I am a teacher, researcher and practitioner of mindfulness as well as being a registered osteopath in London. In my daily dealings with patients, I am continually fascinated by the clearly observable integration of body and mind, even though my medical degree often inferred otherwise. I actually started teaching mindfulness in order to help patients who came to me with physical issues that I could not cure. This was because they were in fact, causatively, mental issues. In the third session of a mindfulness course, after 2 weeks of practising a sustained body focus called the Body Scan, many course participants start to notice more of the myriad of sensations their bodies continuously emit. Some are amazed that all this sensation has been going on all their lives and they never noticed! A whole new world opens up, or rather, re-opens. They start to remember the child who could feel the world rather than just think about it, who could delight in the world in a way we may have forgotten. This is why we train to be more aware of our bodies, and conversely, less stuck in our heads. We all want to be calmer, happier and more fulfilled. Over-thinking or rumination is a state that has been well researched and closely associated with depression. We all know it. Those nights when we could not switch off, our minds circling and circling around a problem like “wasps in a jar”, as a patient of mine eloquently put it. The truth is that thinking and more thinking does not usually solve a problem, in fact research has empirically demonstrated that it reduces our capacity to make a balanced decision. It simply does not help. When I think back to peaceful and happy times, I was almost always being more body aware. Floating on a lilo on holiday, snuggling up to my wife, sitting on a mountain looking out, the common factor is always that I was not thinking about the experience, I was physically feeling it directly through my five senses. So this is radical, what mindfulness is suggesting is that there is a whole world of perception beyond merely thinking about the world. This is something we may not be able to understand by simply reading a blog because that would just be more thinking, wouldn’t it? We need to experience it directly and train it in to our minds. It is a skill. However, it is important not to throw the baby out with the bath-water, thinking is also great and absolutely essential alot of the time. But is it beneficial to spend the vast majority of our run-time in our heads? Research suggests not. What would it be like to do all the thinking that is really necessary and beneficial for us and then relax back into our body for the rest of the time? So, I invite you not to merely think about this but to try it out for yourself. 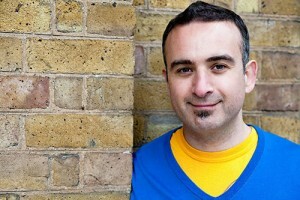 Christopher Gaia is a mindfulness teacher, teaching courses in Chelsea, London. He has a 5 year MSc. Training in Teaching Mindfulness Based Courses from the Centre for Mindfulness Research and Practice, Bangor University. He has over 20 years of experience of mindfulness practice and has completed post graduate research into mindfulness and self-compassion. He is also a registered Osteopath, working in Chelsea and Balham.